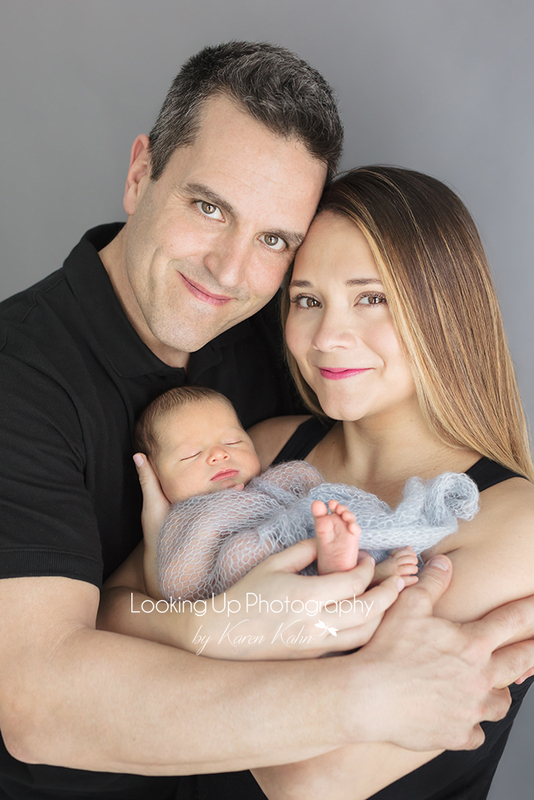 When I first met little baby Cameron and his lovely parents, I knew this was going to be a wonderful session! Parents Stephanie and Richardson were bubbling over with excitement during their newborn session, and I was so happy to have the opportunity to capture that feeling in their photos. Before their session, however, we had to decide what colors and style we wanted to use. I love to build sessions around a couple’s vision, and Stephanie and Richardson knew exactly what they wanted. They love a clean, classic look, and chose a white, gray, and mint palette. I set it all up in the studio, and I think it looked better than we could have imagined! Mom and Dad wanted to focus on candid shots with natural expressions and interactions. I did some light posing, but allowed plenty of room for baby Cameron to do his own thing, and it made for some beautiful pictures. Stephanie envisioned wrapping her precious one in soft blankets and colors, so we laid down some furs and swaddled him in a soft, mint blanket, which wonderfully complimented his gorgeous skin tone. Of course, we got a shot of his scrumptious little feet, and some close-ups to highlight his handsome features. Then we posed Cameron on a simple white fur, still swaddled in the mint green blanket, and I just couldn’t get enough of it! For the shots with the whole family, we wanted to focus on natural light and soft colors. They were all smiles, and their joy filled up the whole room! I love the pictures where they couldn’t keep their eyes off of their new little family member. Cameron is their first child, and they were over the moon! We wanted to take care to capture these special moments, because they’re gone in a flash. 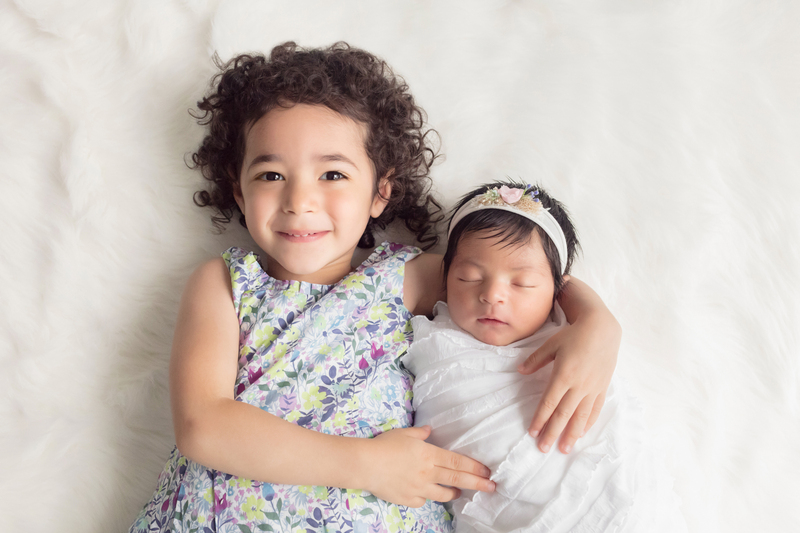 Newborn sessions are especially important because those cute and tiny humans grow up so quickly! A photo session allows you to freeze those moments in time to enjoy them forever. It’s almost as if you had the power to slow the passage of time, even if just for a moment. If you’re expecting a little one soon, be sure to contact me here!